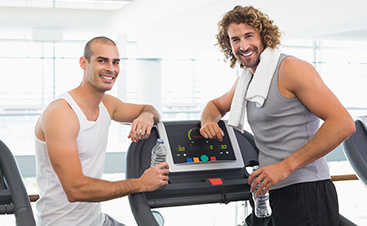 Fitness Training Midland: What Does A Personal Trainer Do? You can feel yourself breathing harder as you walk up the stairs at work. Even something as simple as folding the laundry feels like a workout these days. Don’t sweat it — every now and again, we’re all guilty of letting ourselves get out of shape. But it’s not too late to do something about it. Perhaps you’ve already considered the benefits of hiring a personal trainer, but you aren’t sure if it’s the right fit. Many people feel intimidated by personal trainers, mostly because what they’ve seen on TV or in movies gives them the idea that a personal trainer is going to be intense and overbearing. But in reality, that’s nothing more than a common misconception. 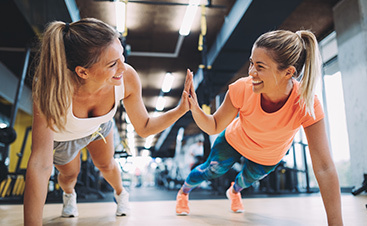 In this blog, we’re going to clear the air about what a personal trainer actually does so that you can feel comfortable with your fitness regimen once again. Want to experience the most personal fitness training in Midland? Then you need to visit Fit Results Midland and find your reason. Keep reading to learn more and contact our Midland fitness center today. A personal trainer is more than just “that guy or girl who works at the gym.” These are licensed, trained, and certified professionals who have the brains to match their braun. 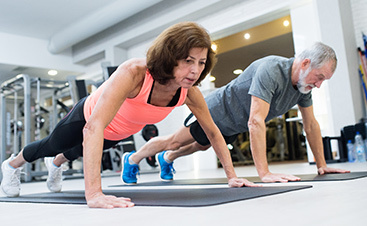 The personal fitness training provided by the Fit Results Midland staff has the experience to know what it takes to help you meet your goals. A personal trainer is more than just a fitness enthusiast — they are fitness professionals who understand how the body works and what it needs. Think of a personal trainer as your own personal health cheerleader. Your trainer will be right by your side from the beginning, and with every step, as you make strides to reach your personal health and fitness goals. Are you unsure of what your goals are? Don’t sweat that, either! After performing a detailed health and fitness assessment, your personal trainer will help you come up with a set of personalized goals. Are you looking to build muscle? Do you want to shed a few pounds? Or do you simply just want to feel better? All of these are reasonable and attainable goals, and your personal trainer is there to guide you through the process with tailored workouts and coaching along the way. Again, think of your personal trainer as something more than just the person who is telling you what to do at the gym. Keep in mind that your health is directly related to their happiness, and seeing you succeed is also what makes them feel successful. Their coaching isn’t limited to the weight room, however. Your personal trainer can also help you eat and live better with customized nutrition and lifestyle recommendations, comprehensive meal plans, and advice to help you avoid some of the more common setbacks. A personal fitness trainer is your all-in-one resource for all things health and fitness. There’s no reason to be intimidated. Stop by Fit Results Midland, your home for the best fitness training in Midland, to see for yourself. Find your reason today.